Sunset into Neyland Stadium | Just Shooting Memories! Sometimes, the sun and clouds line up just right to make an interesting composition. I decided to go out and take sunset photos on Knoxville. 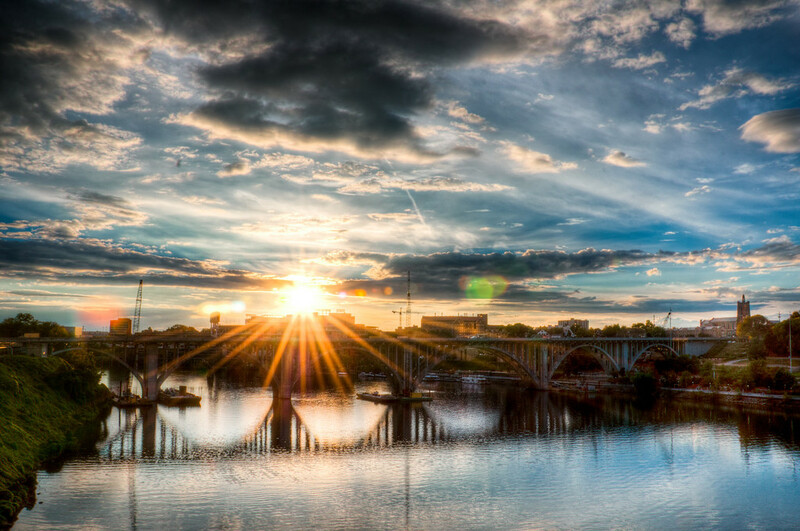 I did some research on the sunset angles and the bridges on the Tennessee River in Knoxville. I knew I wanted to set up on the Gay Street Bridge and shoot downriver. I set up and began shooting and was surprised when I noticed that the sun was setting directly behind Neyland Stadium. Moral of the story, when you research sunset and sunrise angles, look beyond the immediate surroundings. Sometimes you get more than originally planned.